Inspired by the iconic tennis silhouette from the 1930s, the Tournament Net from Tretorn offers a casual look that doesn~t go unnoticed! 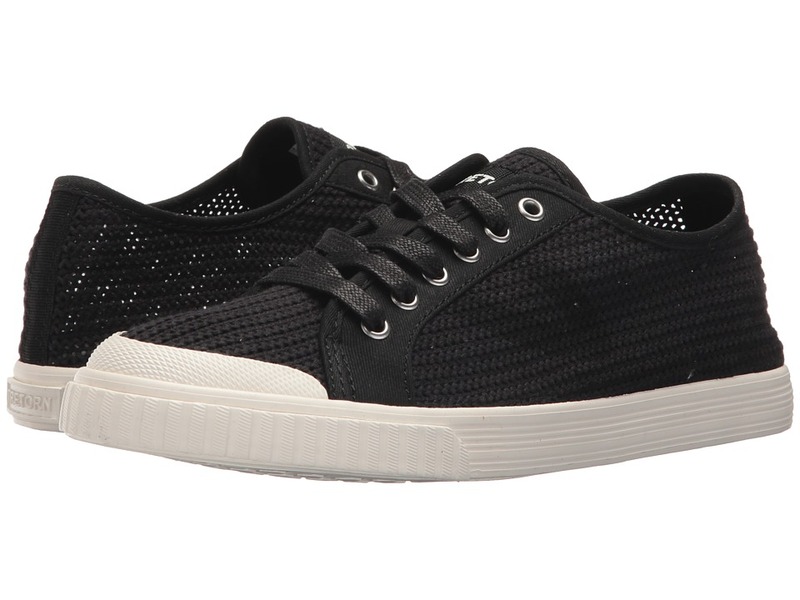 Open mesh upper with canvas and logo accent details. Lace-up closure with metal eyelets for a snug and durable fit. Unlined with a Swedish Massage Teknology EVA insole for all-day, maximum comfort. Rubber toe box and vertically ribbed toe guard for added durability. Rubber midsole. Molded logo patch at heel. Durable rubber outsole for excellent traction. Imported. Measurements: Weight: 8 oz Product measurements were taken using size 8, width B - Medium. Please note that measurements may vary by size. Weight of footwear is based on a single item, not a pair. 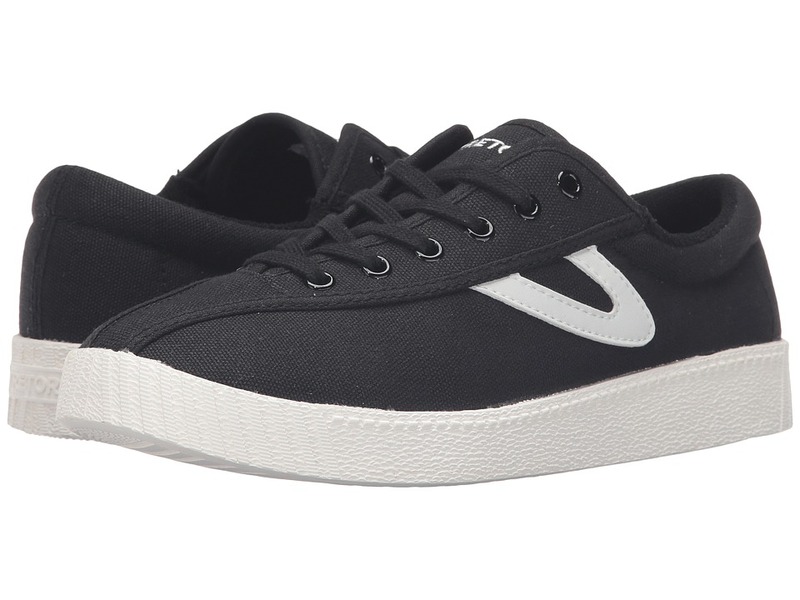 Tretorn ups the ante with the Nylite Plus sneaker. Rugged canvas upper. Lace up closure with brushed-metal eyelets for a secure fit. Leather Tretorn logo stitched at midfoot. EcoOrtholite high-performance sock lining. Durable rubber outsole. Imported. Measurements: Weight: 10 oz Product measurements were taken using size 8.5, width B - Medium. Please note that measurements may vary by size. Weight of footwear is based on a single item, not a pair. 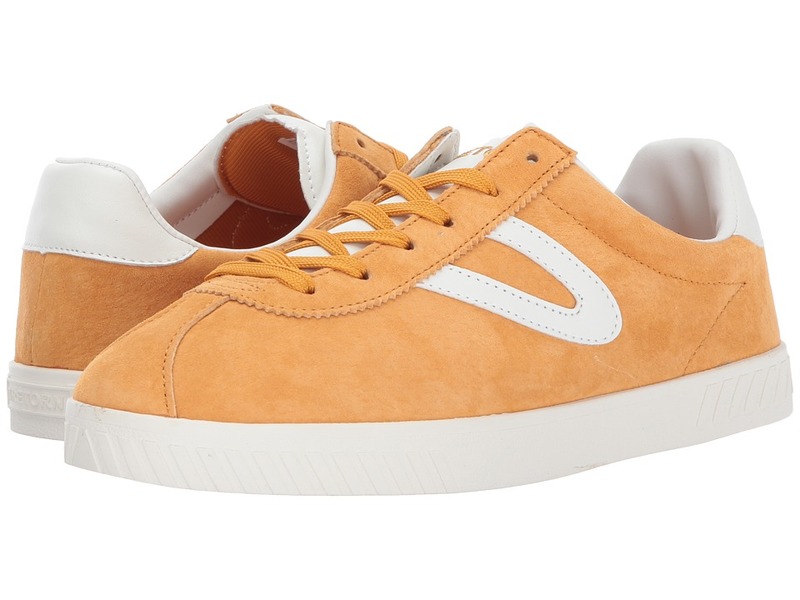 Tretorn ups the ante with the Nylite 2 Plus sneaker. Plush leather upper. Lace up closure with brushed-metal eyelets for a secure fit. Leather Tretorn logo with stitched at midfoot. EcoOrtholite high-performance sock lining. Durable rubber outsole. Imported. Measurements: Weight: 9 oz Product measurements were taken using size 8, width B - Medium. Please note that measurements may vary by size. Weight of footwear is based on a single item, not a pair. 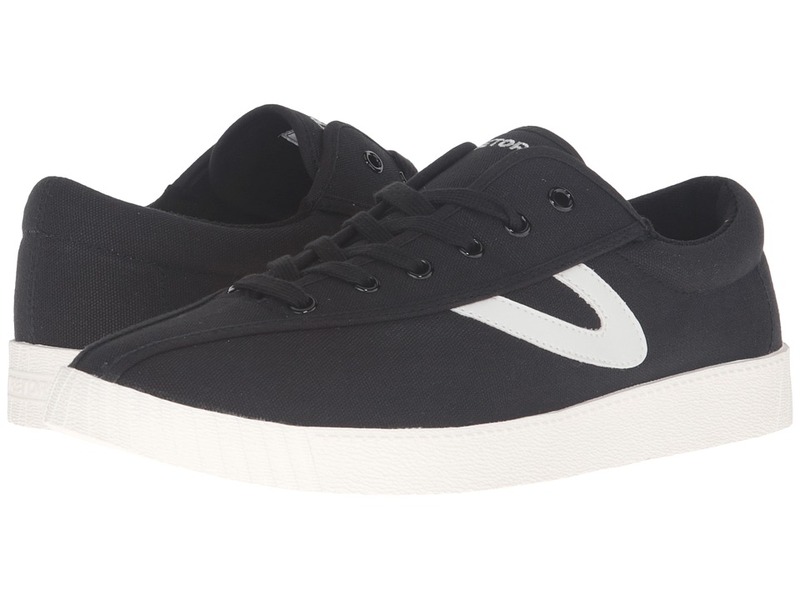 Tretorn captures casual with the Camden 3 sneaker. Suede leather upper in a low-cut silhouette. Leather Gull-wing logo at side. Lace-up closure for a perfect fit. Textile lining. Padded footbed. Synthetic outsole for rugged durability. Imported. Measurements: Weight: 10 oz Product measurements were taken using size 9, width B - Medium. Please note that measurements may vary by size. Weight of footwear is based on a single item, not a pair. 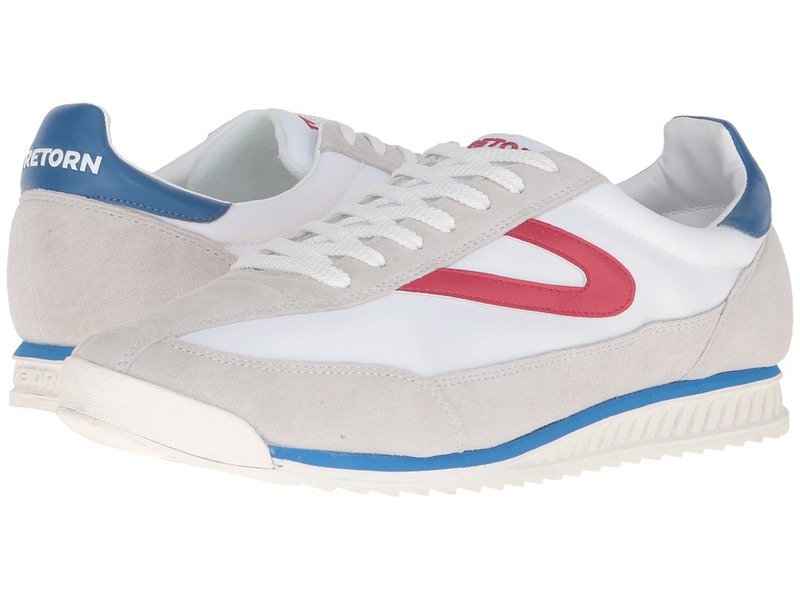 Tretorn ups the ante with the Nylite Plus sneaker. Rugged canvas upper. Lace up closure with brushed-metal eyelets for a secure fit. Leather Tretorn logo stitched at midfoot. EcoOrtholite high-performance sock lining. Durable rubber outsole. Imported. Measurements: Weight: 13 oz Product measurements were taken using size 11, width D - Medium. Please note that measurements may vary by size. Weight of footwear is based on a single item, not a pair. Stylish sneakers with a laid-back attitude. Leather upper with suede overlays. Tretorn detailing at midfoot. Lace-up closure for a custom fit. Padded collar leather and canvas lining. Rubber outsole. Imported. Measurements: Weight: 14 oz Product measurements were taken using size 12, width D - Medium. Please note that measurements may vary by size. Weight of footwear is based on a single item, not a pair. 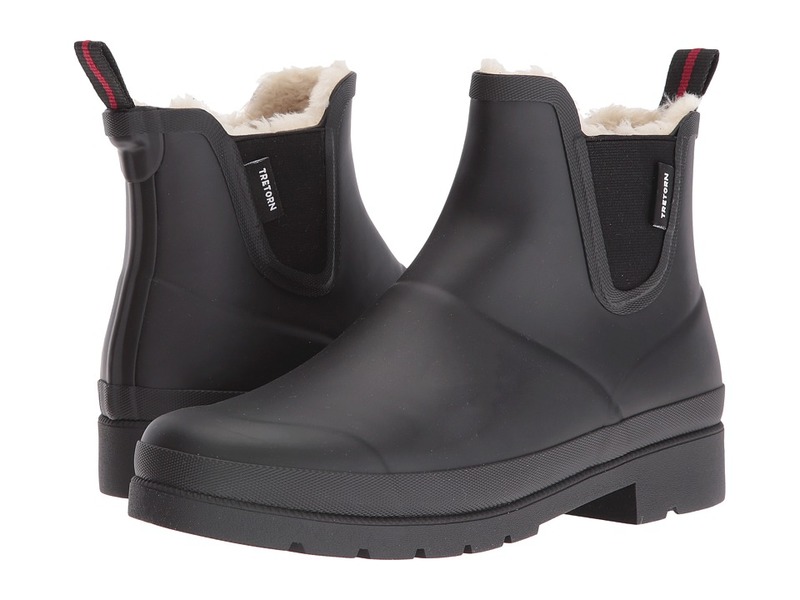 Puddles aren~t a problem with the Tretorn Lina Winter rain boot. Natural rubber upper with an all around sheen. Pull-on closure. Pull tab at back for an easy on and off wear. Elastic gore stretch on side for a more adjustable wear. Faux shearling lining keeps you cozy and warm. EVA insole for additional comfort. Rubber midsole. Molded rubber outsole. Imported. Measurements: Heel Height: 1 1 4 in Weight: 1 lb 5 oz Circumference: 9 1 4 in Shaft: 6 in Platform Height: 1 2 in Product measurements were taken using size 9, width B - Medium. Please note that measurements may vary by size. Weight of footwear is based on a single item, not a pair. Embrace durability, resilience and comfort. 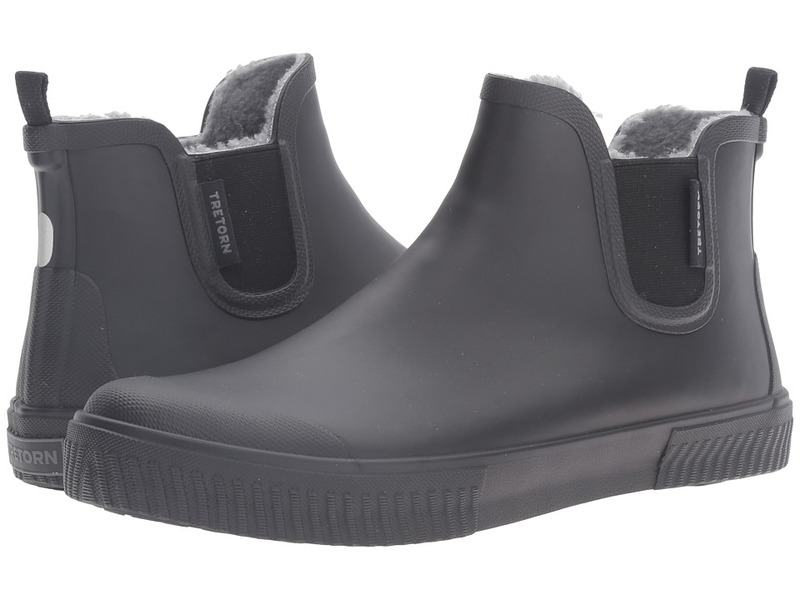 When the weather turns wet, keep dry with the classic Guswnt slip-on ankle boot from Tretorn. Features 100 percent waterproof natural rubber upper. Dual gore elastic side panels for easy on and off. Rubber collar and heel pull loop. Faux fur lining provides ultimate warmth and comfort. Rubber toe box, toe guard and heel counter detail. Textured rubber outsole. Imported. Measurements: Weight: 1 lb 9 oz Circumference: 11 1 2 in Shaft: 6 in Product measurements were taken using size 12, width D - Medium. Please note that measurements may vary by size. Weight of footwear is based on a single item, not a pair. 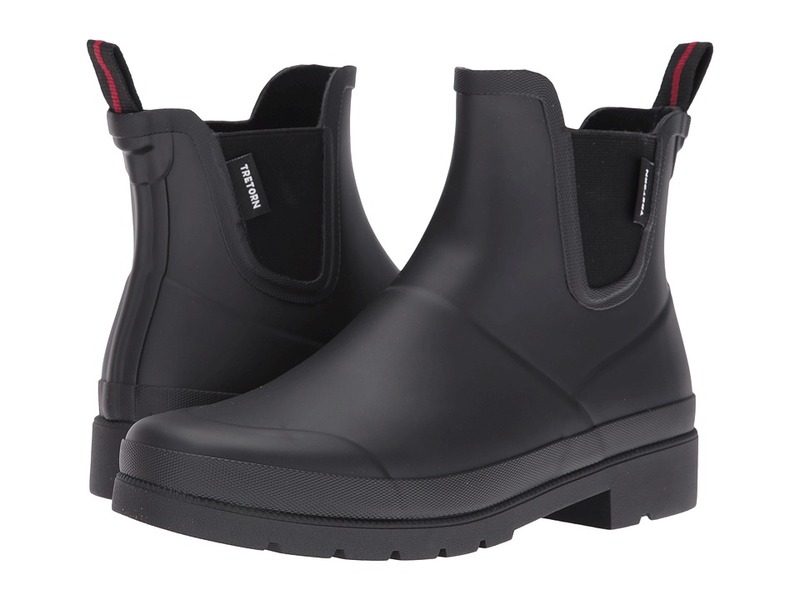 Puddles aren~t a problem with the Tretorn Lina rain boot. Natural rubber upper with an all around sheen. Pull-on closure. Pull tab at back for an easy on and off wear. Elastic gore stretch on side for a more adjustable wear. Environmentally friendly EcoOrtholite high performance sock. EVA insole for additional comfort. Rubber midsole. Molded rubber outsole. Imported. Measurements: Heel Height: 1 in Weight: 1 lb 3 oz Circumference: 10 1 2 in Shaft: 5 1 2 in Product measurements were taken using size 9, width B - Medium. Please note that measurements may vary by size. Weight of footwear is based on a single item, not a pair.